Donald Corvin gave a good spritz of bleach water to his nasty, stained up office minifridge. Man did that minifridge start to sparkle! He admired the work, thinking to himself that his late wife Mildred would have loved to see him cleaning it out — as he seldom had the time to do chores around the house, what with his busy schedule as an Amateur Birdologist and all. “If only Mildred could see me now. Me, cleaning out a minifridge! Who would’ve thought we’d see the day? Boy howdy, she would’ve loved a sight like this. Too bad she’s dead,” he thought to himself. Birdology is a time consuming profession, no doubt about that. He glanced over at his desk, noting for a moment the handsome portrait of his dearly departed next to his title plaque: DONALD CORVIN, AMATEUR BIRDOLOGIST. Donald smiled to himself and returned to the task at hand. With one last wipe of crusted-on yogurt spillage, old Donny Boy’s fridge was shining like a diamond! He placed the food items back into their respective fridge homes — the turtle eggs into their turtle egg nook, the Tupperware of mint marmalade he enjoyed taking the occasional thumbful from back in its shame corner, and the Cinnamon Water on the top shelf. “Everything has its place, even food items in a minifridge,” his Grandmother used to say. Donald noticed there was something missing — of course! It was his prized possession, the golden pièce de résistance of Donald’s minifridge: the egg salad sandwich his late wife took her final bite from before she so tragically perished (last week). Donald searched the office around him, a familiar wave of nausea rising in his abdomen. 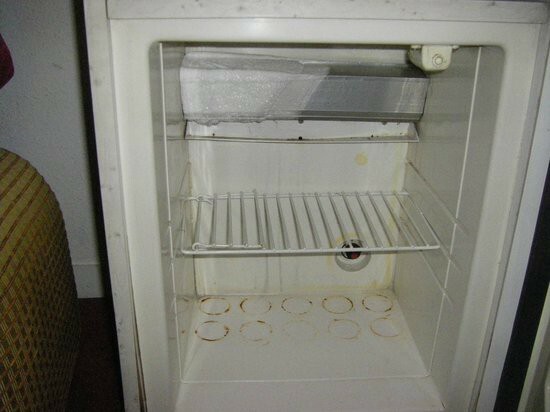 The minifridge preserved last-egg-salad-sandwich-his-wife-took-a-bite-of-before-she-died-suddenly was nowhere to be found! He remembered that just moments ago, he placed it carefully out of harm’s way on a nearby windowsill. Was this another one of Gary the Ofﬁce Boy’s cruel pranks at Donald’s expense? “No, that theory doesn’t check out,” Donald thought, as he remembered Gary was out that week at Paintball Camp in Montana with his sons. As Donald approached the window, something caught his eye. It was the familiar lime green mold sheen of his precious egg salad sandwich, bobbing up and down in the sunlight just outside! However, Don quickly realized that to his horror, the last remaining reminder of his sweet, sweet, Mildred was quickly being devoured by a horrid pest of a bird! The bird was enormous, truly a disgusting sight to be seen. It was a pelican, or pelicanus birdopolis, one of Donald’s most despised species of bird in all his years of Amateur Birdology. As the sandwich sunk into this vermin’s filthy skin-beak, images of wonderful now-dead-but-once-living Mildred ﬂashed before Donald’s helpless eyes! Thinking fast, Donald shoved the window open further, and attempted to climb out it. Red-faced and cursing at the pelican, Donald was stuck halfway between his office window and the great outdoors. He must have looked like some sort of mentally ill Winnie the Pooh having a psychotic break, but appearances were not the most important thing to Donald at this moment — nay, the world stopped and all that was left was Donald and a putrid bird with an oversized beak, standing between him and the egg salad sandwich left behind by his sweet — and I can’t emphasize this enough — dear, departed wife. Donald wiggled his body further out the window until he was able to claw at the bird’s neck. In a cacophony of feathers and Obscenities, the two wrestled over the sandwich, bird versus Amateur Birdologist. Sadly, the Victor was the pelican. Donald swore this bird was almost taunting him with a wry smile as he watched the last piece of egg salad sandwich disappear into its dirty dumpster of a beak and gulp down its throat. Donald felt his head go warm, boiling like a cherry tomato in the sun, seething with a mixture of rage, self-disgust and repressed grief. However, to Don’ s twisted shock and delight, not moments after eating the sandwich did the pelican’s eyes roll back into its stupid face. The bird sputtered and flapped, attempting to outfly the grim reaper — but it was no use. Even pelicans have to face their mortality. The bird plopped to the ground like a trash bag of misprinted T shirts mishandled in the stock room of a Fashion Discounters Plus. Don knew that look anywhere, he had seen the telltale signs of a dead bird many times in his long Amateur Birdology career. In a ﬂash, Donald pondered his situation and realized that this very sandwich may have killed both his late wife Mildred and the pelican! “Guess Mildred was right,” thought Don, “leaving egg salad on the hot dashboard of a P.T. Cruiser isn’t the most sanitary way to handle food.” The sudden knowledge of sweet, dear, taken-from-us-so-young Mildred’s cause of death gave him a feeling of emotional fullness he never knew he needed. He realized he’d never be able to get his wife or the dumb idiot pelican back, but he was damned determined to get that sandwich back. Wriggling his body further, the widower Donald used his bare hands to dig open the chest cavity of the pelican. He pushed his fingernails deeper into its abdomen, sifting through layers of feather and bird-meat. Hot pelican blood poured over Donald’s stubby man — fingers as he searched desperately for the partially digested rotten egg sandwich he most surely inadvertently murdered his wife with. Scooping chunks of blood spattered egg and bread onto the nearby ground, Donald smiled wide, thinking, “No big mouthed freak bird is going to one up old Donald! Not this time! No sir!” Just as Donald scooped the last bit of bile and egg into his little pile, he heard the familiar rapid knock-knock of his boss, Mr. Pinklebottom, at his door! Richard Pinklebottom, Chief Amateur Birdologist, walked into the office of his underling to see Donald halfway out the window, sifting through a pelican’s organs, retrieving pieces of an old petrified sandwich. Truly a sadder sight he had never seen in all his Amateur Birdologist career.